Property is being rezoned (as per city of cape coral) from agricultural to neighborhood commercial which allows for a wide variety of commericial uses. Mixed use and/or multi family zoning may be considered by application. This is an outstanding parcel due to its being located on what is becoming a signifcant cape coral commercial intersection in the exploding northwest cape coral. Property is approximately two miles north of cape corals seven island development which will ultimately allow up to 995 residential units. Seller financing will be considered with 30% down balance @6%. Terrific opportunity for over 38 acres (approx 668x2519) in north cape coral off of burnt store road! Per lee county department of community development: the property is located in the ag-2 zoning district and the open lands future land use designation. Property development would be subject to the lee county land development code. Unincorporated cape coral area. Seller has no reports, surveys, etc pertaining to property. Buyer to perform due diligence based on their use/vision. Lot dimensions estimated per public record. Welcome to the essence of the florida lifestyle. This luxurious custom home was built on unwavering standards and with attention to detail. Tiled roof, attractive landscaping & paver driveway elevate the curb appeal of this 3-car garage home. Grand foyer entry, tile flooring throughout, custom ceiling detail in nearly every room and 10 ft corner sliders in the spacious living area set the tone. Complete with a whole house ro system, 2,300+ sqft of living area, lofty ceilings & an open floor plan. You won't believe what you get for this price! Over 250' wide bowie canal! Direct sailboat access to the gulf! Observe nature's beauty right from your back yard! See dolphin, manatee, otters, eagles! Amazing sunsets! You are not going to believe the view! Great fishing and kayaking. Rare cul-de-sac street with gulf access homes on both sides. Very quiet, peaceful and private! 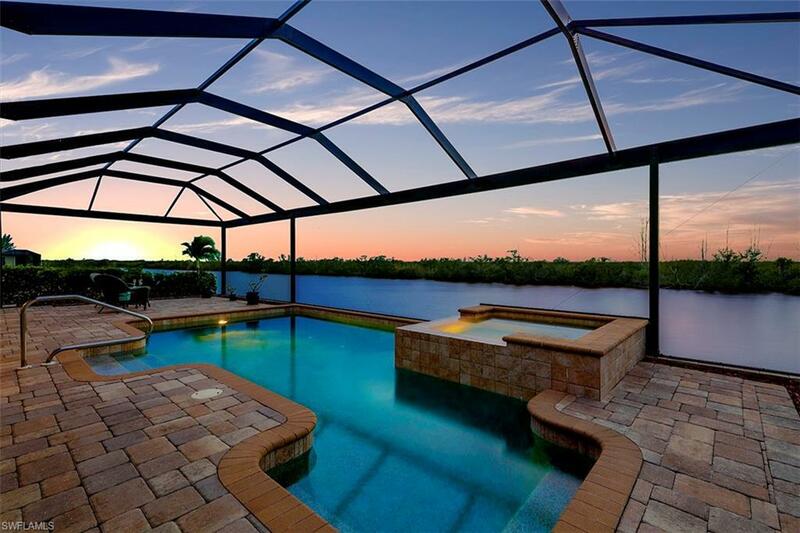 Enjoy evenings on your lanai and deck built for florida living. Take a dip in the pool, relax in the spa, watch the big game or cook your favorite meal in the outdoor kitchen. There are roll down shutters across the lanai, back bedroom & garage service door. And talk about this garage! It is huge! Big enough to fit 2 boats and a large vehicle. Plus there is a large ac storage room, work bench, wired for tv and a new gorgeous epoxy floor. There is tons of storage. Large laundry room, large pantry, large kitchen with all base drawers. Alarm system and wired security cameras. Huge 250 gallon lp gas tank under the driveway for water heater, odk grill and pool/spa heater. Talk about amenities! You have to see for yourself! You won't want to leave! Personal home of reputable builders in cape coral for over 30 years.